North Korea’s latest missile launch was unanimously condemned by all members of the UN Security Council. North Korea’s decision to carry out its first ballistic missile launch of the year may aggravate the political situation in the region. Experts say such a scenario is clearly not in Russia's best interests. 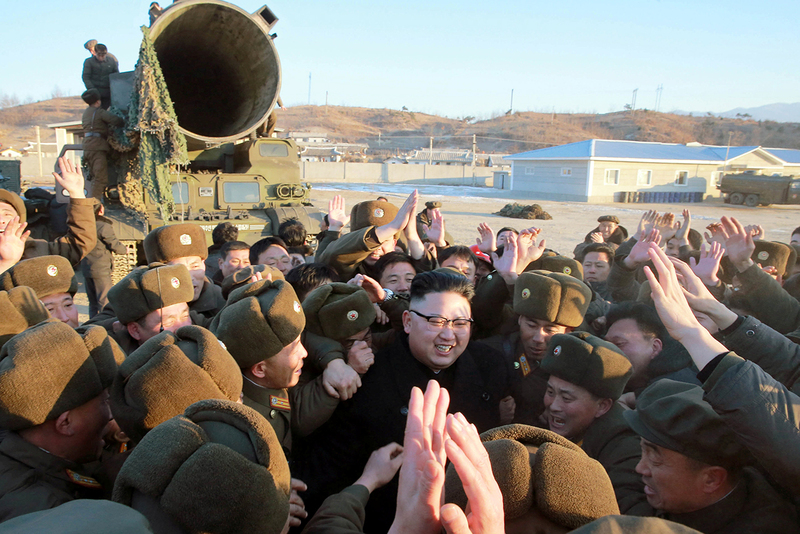 North Korea conducted the launch of an intermediate-range missile on Feb. 12. The missile flew about 500 kilometers and fell into the Sea of Japan. The United States condemned the launch and demanded the convening of the UN Security Council. Besides Washington, the launch was criticized by a number of countries, including Russia. Can Moscow stop Kim Jong-un? The Russian Foreign Ministry called North Korea's missile launch a “defiant disregard” of the UN resolutions that forbid Pyongyang to carry out missile and nuclear tests. Moscow urged all parties relevant to the North Korean missile program, to stay calm, stressing that there is only one way to solve this issue - diplomacy. Russia's reaction is dictated by concerns over a possible escalation of the situation. If a nuclear conflict erupts in the Korean peninsula, the Russian Far East would end up bearing the brunt, Yury Morozov, a professor from the Institute of Far Eastern Studies told RBTH. Russia shares a small land border with North Korea. Moscow is not interested in the expansion of the nuclear weapons club. At the same time, Pyongyang is trying to do everything can to obtain nuclear weapons, as it sees them a guarantor of its security. In its desire to possess missiles with nuclear warheads that are capable of hitting targets on American soil, North Korea refuses to listen to the recommendations of China, which is its biggest economic and political benefactor. Another factor that one needs to take into consideration is that Pyongyang believes that Beijing is interested in using North Korea as a tool to put pressure on the U.S. and its regional allies. However, there is no chance of China and North Korea creating an anti-American alliance since Beijing and Washington are closely linked economically, Leonid Gusev, a professor from Moscow State Institute of International Relations (MGIMO) told RBTH. Will the U.S. increase its presence in the region? Moscow would obviously not be keen on an increased American presence in the region, where Tokyo and Seoul count as Washington’s allies. The current circumstances could lead to two outcomes, according to Gusev: an increased American military presence in the Korean peninsula and a new regional arms race. He believes that the U.S. could make a case for a much larger deployment of the THAAD anti-missile systems in South Korea than it originally envisioned. Experts widely agree that Russia will have to behave in a tactful manner if tensions around North Korea's nuclear and missile programs get aggravated. They believe that Moscow will stick to its traditional policy in this area by trying to promote dialogue between the parties using the UN as its main platform for the dialogue.